A Home, Rentable Cottage and a buildable Lot. casita and a full buildable lot. 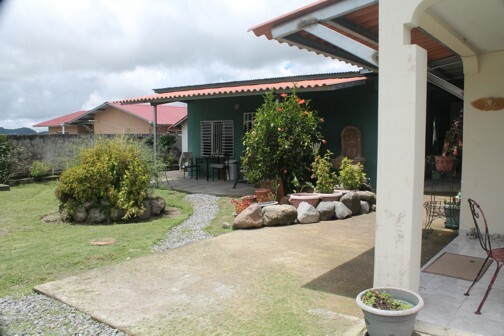 A 3 bedroom retirement home, an income producing single bedroom casita and a fully serviced, buildable lot all for $195,000. 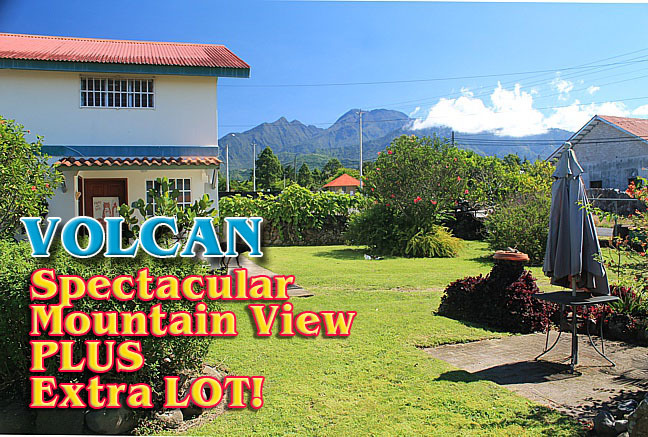 All in the fast growing, "eternal spring" retirement haven of Volcán - Panama's pristine, mountain "Shangri-La." View across the garden to the casita: A single bedroom living accommodation with a kitchen, dining area and shower - almost a second house. To the left of the picture, an 8 foot square, secure storage bodega. In the foreground a paved, garden eating and relaxing area, with great views to Panama's highest peak; the 11,400 foot, Baru Volcano. To your right a lemon tree - one of many fruit trees throughout the property. 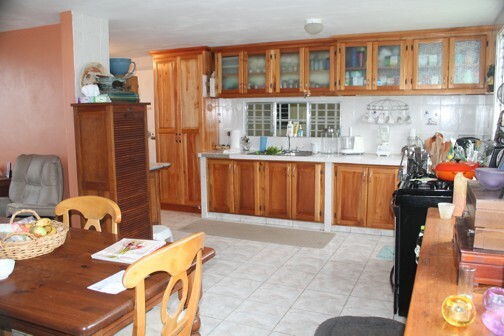 The spacious, open-plan, kitchen and dining area has a large fridge, washing machine, stove and plenty of storage space in the fitted cabinets. 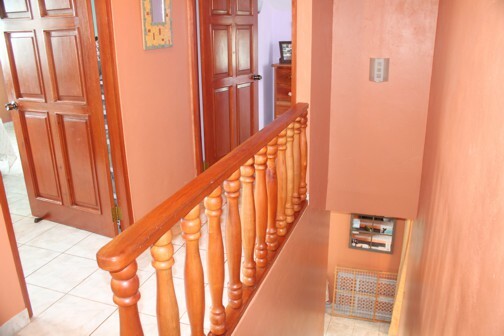 The sturdy, steel and tile stair case leads to the second story and the 3 bedrooms. The master bedroom and ensuite bathroom to the left and the remaining 2 guest bedrooms are ahead and to the right. 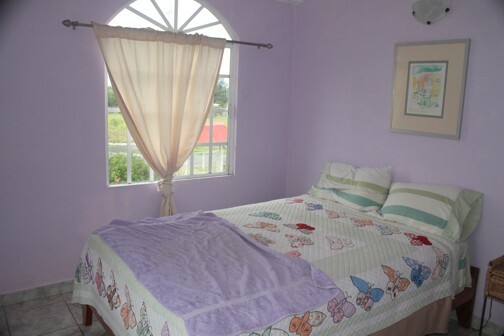 The master bedroom is spacious and easily accommodates a king size bed. The ensuite shower is through the door. 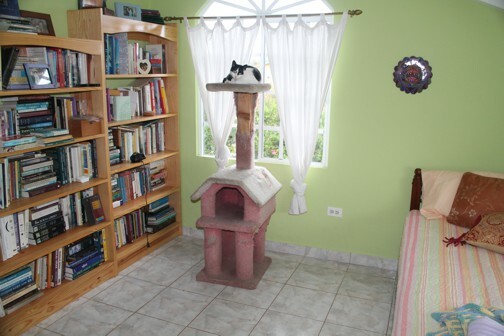 The 2 remaining guest bedrooms are ideal for a relaxing office or library - or in this case, a resting place for the resident house cat; "Soaphie." Your guests will love wakening to the sounds of many multi-coloured tropical birds - and, a clear view to the majestic Baru Volcano. 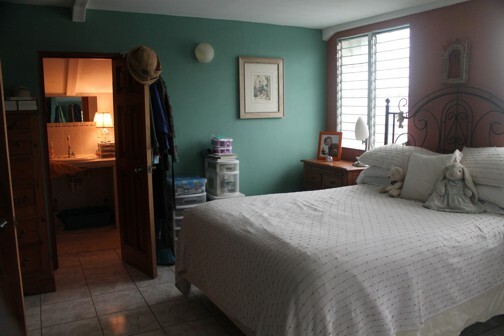 The Casita is a single bedroom guest cottage. 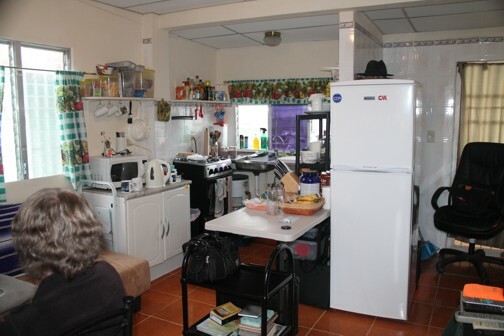 It has a kitchen and small dining area and its own separate hot water supply. Next to it is an 8 foot square, secure, storage bodega. 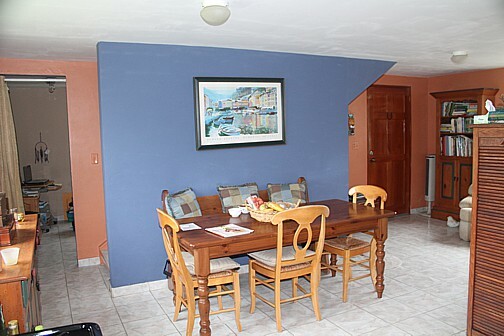 Rentals are at premium in Volcán, and if the new owners wish, this casita can be rented out from day one. 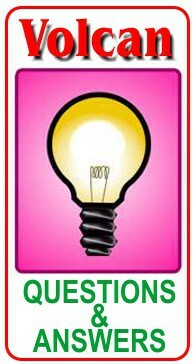 NEED AN INCOME PRODUCING IDEA? This additional lot could have a greenhouse built on it. 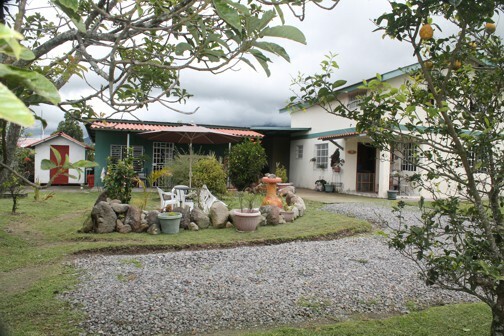 This area of Chiriquí provides up to 80% of ALL the vegetables produced in Panama. The climate is perfect for organic vegetable production. 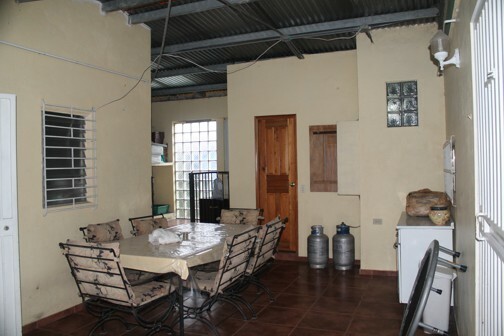 This covered patio - adjacent to the kitchen, has an additional storage bodega and a separate washroom and shower. This could easily be converted to additional living space/ bedroom/workshop. This covered patio has a 3 dog kennel and a separate door to the spare lot. The current owner runs a successful massage and holistic treatment center. This room is in the front of the house overlooking the garden. 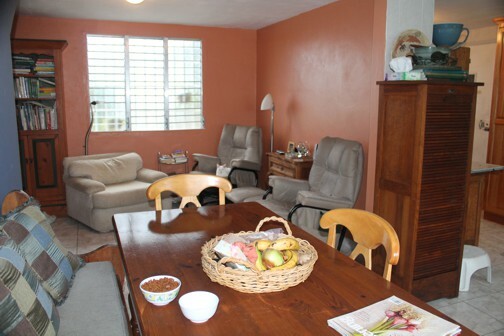 The properties central location and parking makes it ideal for adapting to any small home business. MOTIVATED SELLER - OPEN TO OFFERS! 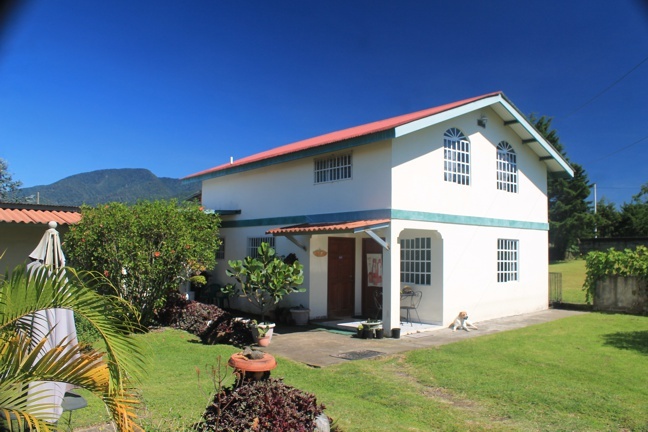 This property is sold "By Owner"
This home is in the centre of Volcán. 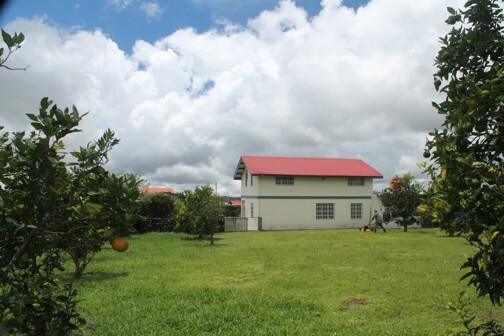 Shops, supermarkets, gas stations, restaurants and banks are all within walking distance. The new 32, bed Emergency hospital is on the same road and approx. a 2 minute drive. More than 30 restaurants or places to eat. Yes. Every Friday morning most of the expats meet for breakfast at MANA'S CABALLO LOCO SALOON. We have ex pat musical "Pub Nights" 4 times a month.